Preston Landscape Supplies is a family owned and operated Gold Coast business. We pride ourselves on our customer service, product quality and competitive prices. Preston Landscape Supplies has been supplying Gold Coasters with landscape supplies since 1980. We aim to continue to supply Gold Coast tradies, facilities maintenance personnel and the general public with the highest level of customer service, advice and expertise. 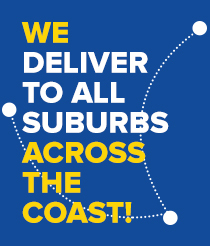 We continue to invest in our delivery fleet to ensure we can offer customers prompt and reliable delivery of throughout the Gold Coast, from Beenleigh to the Tweed. Support a small business that supports the Gold Coast, and see why Preston Landscape Supplies is the leading landscape supplies business on the Coast.